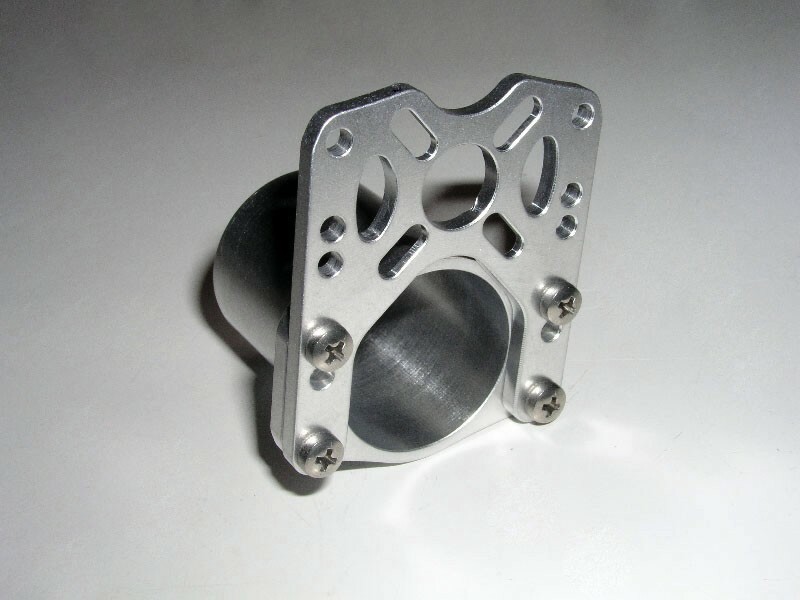 This two piece mount is CNC machined from billet aluminum. 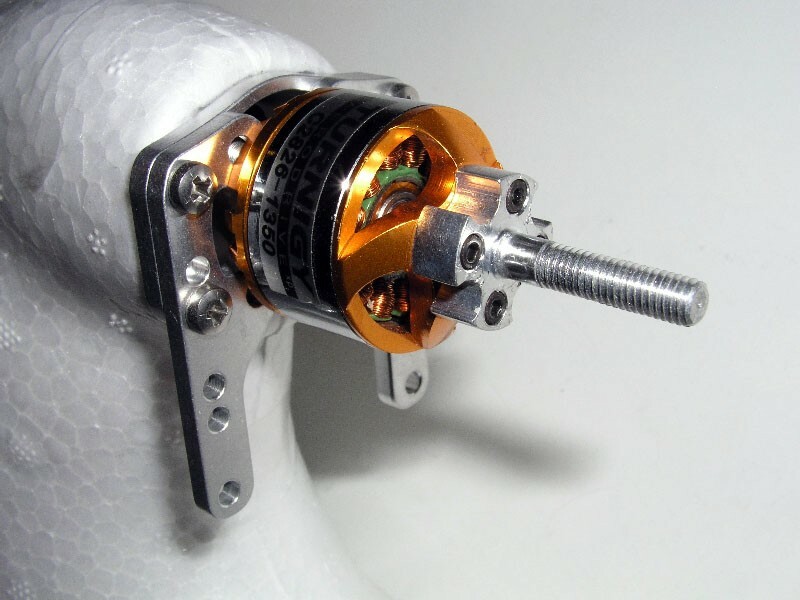 It is designed to adapt a large range of outrunner motors to the Blitz RC Works Sky Surfer. 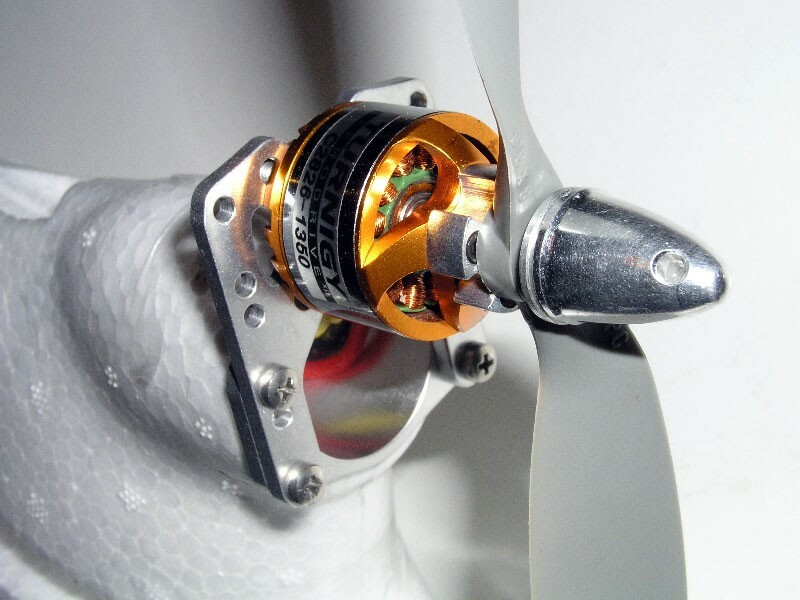 It will allow for three different motor mounting heights to accommodate propeller sizes ranging from 6" to 8". Swapping motors from a 35mm outrunner with an 8" prop to a 28mm outrunner with a 6" prop can easily be done by removing a few screws. This is ideal for those looking to achieve the best performance possible. 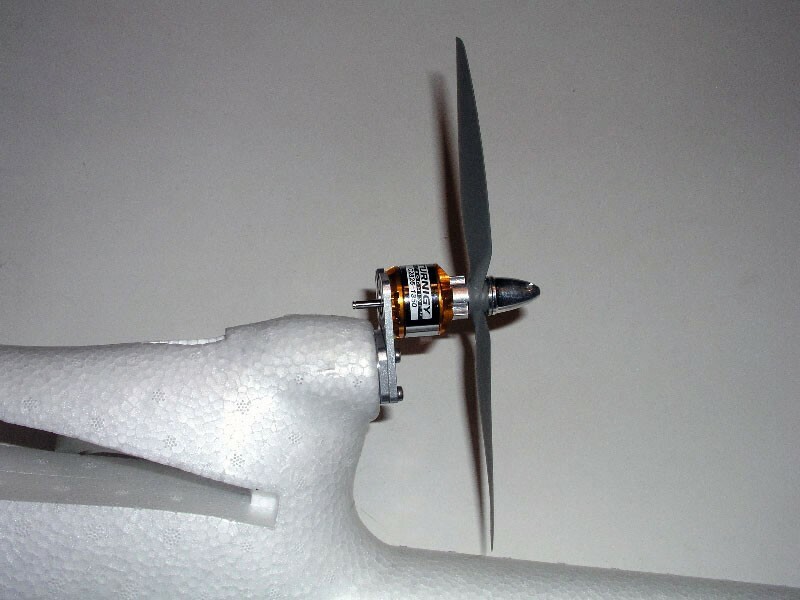 Position 1: stock height up to a 6" prop. 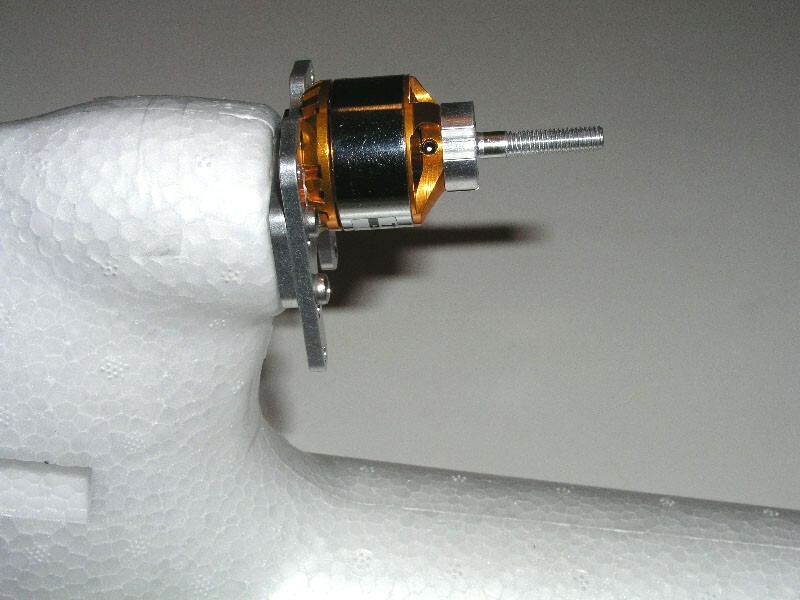 Position 2: (+) 0.41" for up to a 7" prop. 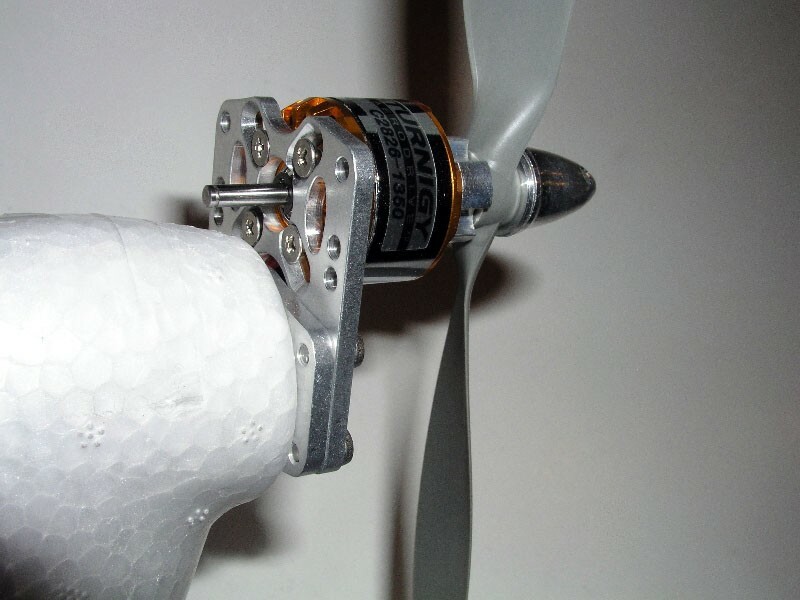 Position 3: (+) 1.0" for up to an 8" prop. 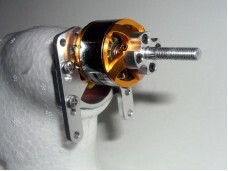 Included: 1 - EBS Base Outrunner Tube and EBS Motor Plate, 4 motor screws and 4 mount screws. 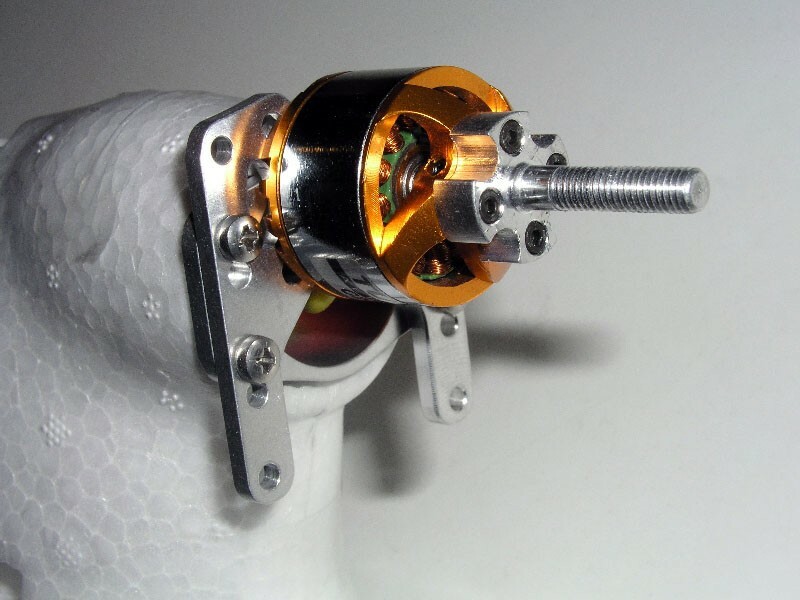 A 35mm outrunner motor will only fit in Position 3 (+ 1.0"). 28mm outrunners will work in any of the three positions. 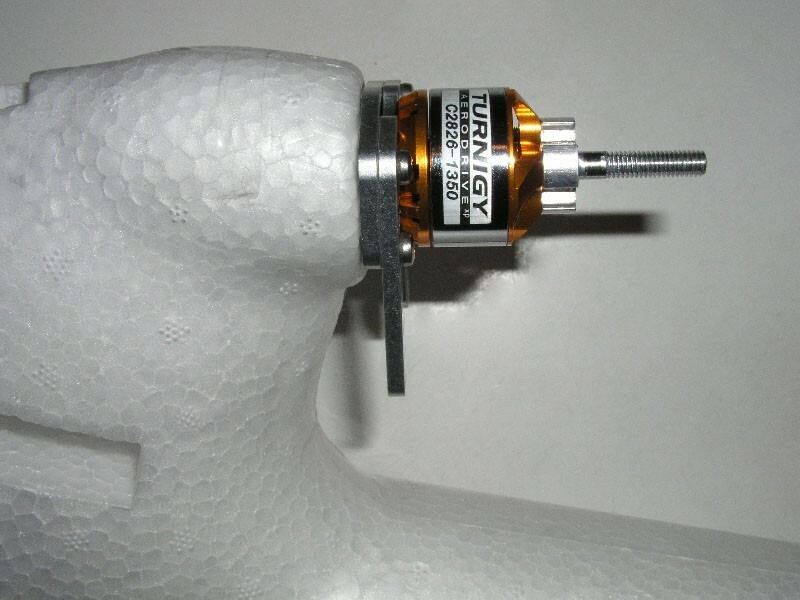 The stock thrust angles are retained in all 3 positions. 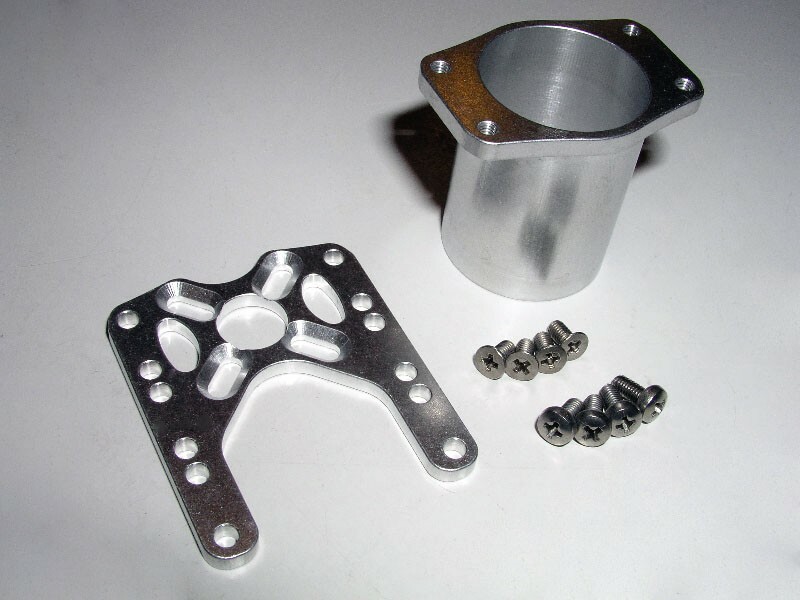 If a change in thrust angle is desired, simply add a small washer between the motor base and motor plate at the appropriate locations. Dimensions: I.D. = 1.01" / O.D. 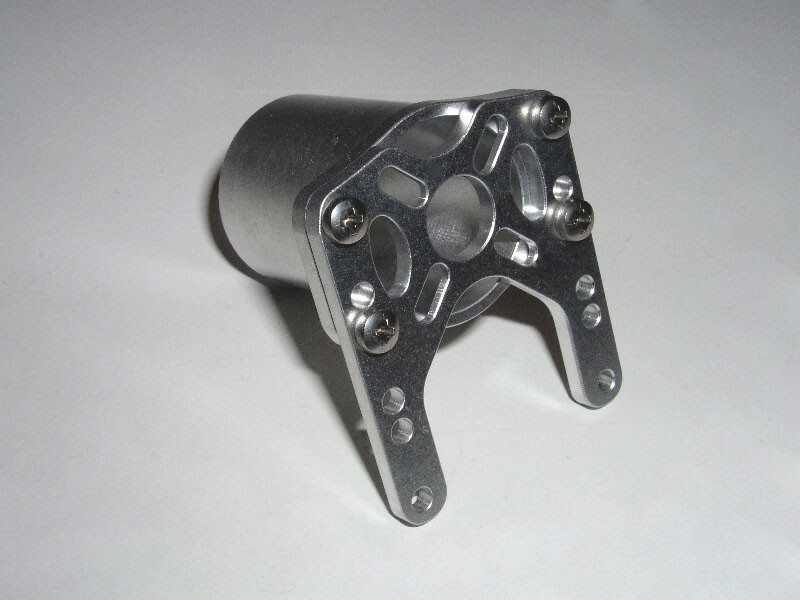 = 1.11" / Length: 1.375"
Click here for the Blitz RC Works Super Sky Surfer Adjustable Motor Mount.